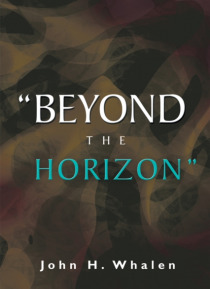 Beyond the Horizon is about a young man's search for himself and his purpose in life. The book takes place in the future after a nuclear holocaust was released upon the world. After the death of his mother, Jessica, Miles goes in search of his father, John, who had not returned to their village after several years. He starts out his adventure with his large dog, A-len. Miles rescues the beauti… ful Sara from some grotesque man-creatures. While exploring this primordial world, they have many adventures which include evil shape-shifters, witches that practice the dark arts, monster rats, and the dreaded demon beasts. As they travel on together, Sara and Miles become very close and Miles begins to have feelings that he doesn't understand. They also learn to continue to seek what is Beyond the Horizon.